Modern advances have certainly made our lives easier, but they have also increasingly led to a more sedentary lifestyle—a major cause of the obesity epidemic. Research has found inactivity and sitting for longer than four hours per day greatly ups risk for cardiovascular disease (perhaps even more than smoking), diabetes and a number of other obesity-related conditions. Being less sedentary may take some conscious effort at first, but the value of being more physically active is worth it for the myriad benefits it brings. Here are 11 ways to get moving more. Plenty of research has borne out the health benefits of a daily 30-minute walk. In a Nurses’ Health Study, for instance, those who walked briskly or otherwise achieved moderate-intensity exercise for at least 30 minutes every day had a low risk of sudden cardiac death during 26 years of follow-up. Yet another study found that as little as three five-minute walks throughout the workday can reverse the harm caused to peripheral arteries (in the legs) by prolonged sitting. Hold walking meetings instead of sitting around a conference table for hours at a time. Walk your dog for a bit longer each morning. Walk your kids home from school instead of picking them up. Fitting in walking can be pretty easy when it's a top-of-mind goal. Studies have found that stair climbing, which is considered a vigorous-intensity physical activity, burns more calories per minute than jogging. Taking the stairs whenever possible can help you to maintain a healthy weight and build and maintain healthy bones, joints, and muscles. Research shows that brief, intense stair climbing can help improve cardiovascular health, especially in people who are not particularly active. If your job requires you to sit for long periods, make it a point to stand up at least every 20 minutes. You can take calls standing up, leave your desk to take water breaks, or deliver news to a colleague while standing by their work space instead of sending an email. You might also consider getting a standing desk, a treadmill desk, or a fitness ball seat (which promotes "active sitting," in which you engage your core). That’s right—instead of moving from table to couch, get up and clean your kitchen after dinner. You will be standing up and doing the dishes, then engaging in more physical activity as you clean the counter tops, sweep the floor, etc. This will help you continue the increased physical activity you began at work, and engaging in physical activity after eating helps lower blood sugar levels as well as the risk of insulin resistance in the long run. If you’re eating out, plan to take a nice walk after dinner. You can continue conversations with companions while walking. If you watch television at home, use commercial breaks as more time for physical activity. Standing up and doing something during commercial breaks—whether it be folding clothes, doing a few push-ups or sit-ups, or any number of other activities—will break up the sedentary time that tends to accrue during most, if not all, screen-based activities. You don’t have to be a running guru to reap the benefits of running. A 2014 study found running for as little as five to 10 minutes per day at slow speeds (less than six miles per hour) was associated with significantly reduced risk for death from all causes and specifically, cardiovascular disease. Any gardener can tell you just how much physical effort is involved in every kind of gardening activity, and the American Heart Association considers general gardening to be one of many forms of exercise that falls under the category of moderate-intensity physical activity. 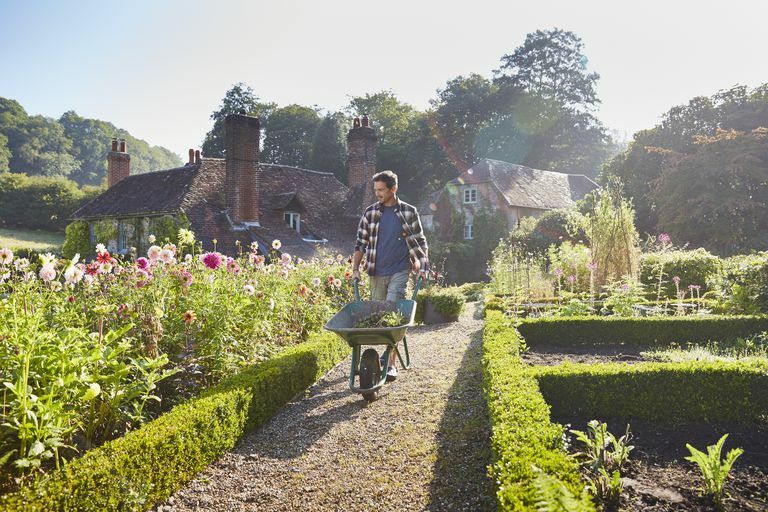 Most gardeners find gardening is not only mentally and spiritually stimulating, but that it is a fantastic physical activity as well—one that can prevent obesity. Whenever you can do so safely, make it a point to park a little farther away from your destination, so you walk a few steps more. Every step counts, and these extra steps will add up throughout the day to increase your overall physical activity. Mode of transportation has now been found to be associated with being overweight and obesity. Active modes of travel, such as walking or cycling, have greater health benefits and greater potential to prevent obesity. Even public transit seems to be associated with lower body mass index (BMI) than driving your own car to work. A pedometer is a great way to track your steps, which can help you gauge you activity throughout the day and know when you need to squeeze in more movement. Some more sophisticated fitness trackers do this and more, providing you with immediate calorie burn information, day-to-day tracking, alerts when you're below goal, and more. Find one that works best for you and your budget; smartphone apps can also be helpful in this regard. Allison MK, Baglole JH, Martin BJ, et al. Brief Intense Stair Climbing Improves Cardiorespiratory Fitness. Med Sci Sports Exerc. 2017 Feb;49(2):298-307. DOI: 10.1249/MSS.0000000000001188. Chiuve SE, Fung TT, Rexrode KM, Spiegelman D, et al. Adherence to a low-risk, healthy lifestyle and risk of sudden cardiac death among women. JAMA. 2011; 306:62-69. DOI: 10.1001/jama.2011.907. Flint E, Cummins S, Sacker A. Associations between active commuting, body fat, and body mass index: population based, cross sectional study in the United Kingdom. BMJ. 2014;349: g4887. DOI: 10.1136/bmj.g4887. Lee DC, Pate RR, Lavie CJ, et al. Leisure-time running reduces all-cause and cardiovascular mortality risk. J Am Coll Cardiol. 2014;64:472-81. DOI: 10.1016/j.jacc.2014.04.058. Thosar SS, Bielko SL, Mather KJ, et al. Effect of prolonged sitting and breaks in sitting time on endothelial function. Med Sci Sports Exerc. 2016 Sep;48(9):1688-98. DOI: 10.1249/MSS.0000000000000964.